I missed a few but these are all very cute. Thanx!!! 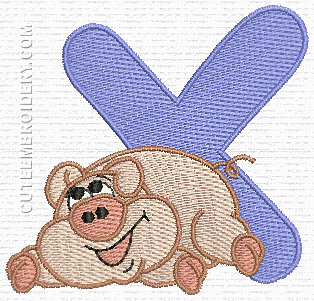 This piggy is X-tra sweet!!! Xtra special piggy. Thank you! Thank you so much for this alphabet. I've only missed one..the D....and that was due to an emergency here at home. Hope to vote for it and get it later. Thank you for sharing your talent.